A few weeks ago I mentioned how I broke my spending ban and gave in to buying a few Origins products. At the time my skin was in a dire need of TLC, and my current skincare routine wasn’t helping at all. So when payday came around I decided to give in and buy a few new items for my skincare routine. And really skincare is an investment right? One thing that I always want from my skincare products is to give me brighter, healthier looking skin. I’ve tried a couple of products that have claimed to do so in the past, but I’ve still not found my holy grail product. I decided to give the Dr Weil’s range a go, and hopefully it will give my dull skin a bit of the boost that it needs! Well I couldn’t buy the cleanser without the toner really could I? So far I really like this toner, it smells amazing and it’s great to use on my skin first thing in the morning. Hopefully it will help to brighten my skin as well! A serum is something I’ve never really used in my skincare routine but I thought I should really be using. Having combination skin I find that sometimes it can get a bit dry and dehydrated feeling, so I felt like this one was best for me. I actually got this serum free when I ordered online, but although it wasn’t something I planned on getting I’m still finding I’m using it as part of my skincare routine occasionally. I know it’s an anti-aging product and at 22 I shouldn’t be too worried about that, but you can never be too early to start on anti-aging right? Another product I’ve hardly used in the past, I know I’m a terrible person! I’ve found that through years of not using any, my eye area is now starting to feel dry and sore, especially as I’m having long days at work staring at a screen. 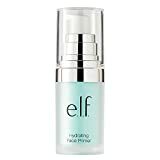 So I felt like I needed an eye cream with a little extra TLC in, and since using this my eyes are feeling a lot better! I decided to buy this to keep in my handbag for work. As I work mainly on a computer I can find that my eyes can get quite tired come the end of the day, so to give them a little pick me up with this roll on really helps! Although I broke my spending ban I feel like these products will probably keep me going for a while! So far I’m really loving everything I picked up, and I’m hoping to see some good results from the Dr Weil’s range. Have you tried any of these products from Origins? What do you think?